Not only can your child experience fun and excitement in an after school program, but you can rest easy knowing that their transportation there is safe, reliable, and trusted. 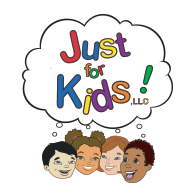 Our goal at Just For Kids is to provide parents the security that they need knowing their child has somewhere to go and is safe while under our care. Fun and entertainment are only one part child care at Just For Kids. Safety is as important to us as it is to you. You can trust us to pick your child up at school and get them safely to our facility. Serving most schools in the Chicago area, you can trust our transportation to be there on time and transport your child in a safe and efficient manner. Never worry about who will be waiting for them after school again. Our vans will arrive when your child’s school gets out with clear signage on the side, as well as an instructor guiding them to the designated vehicle. Once with us, we will take your child back to our child care facility at Just For Kids where they will have plenty to do. Crafts, activities, games, sports, and more! There is never a dull moment with Just For Kids. If you need your child to be dropped off at home when the day is over, call and speak to one of our representatives. We strive to make child care easy for you, providing the attention your child deserves and the safety that you can rely on. If your child’s school does not fall within any of these districts call us today, we are always willing to make the necessary accommodations. We will pick your child up in the morning and also in the evening. Call us today for more information on our transportation services.